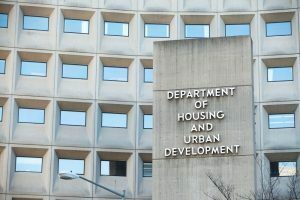 The U.S. Department of Housing and Urban Development (HUD) announced on Wednesday that it was moving forward on amending the Affirmatively Further Fair Housing (AFFH) regulations. Last week, HUD had published a notice inviting the public's comments on amendments to its AFFH regulations. The notice said that the agency's goal in pursuing this new rulemaking was to offer more helpful guidance to states and local communities to effectively promote fair housing choice through the use of federal funds. Specifically, the housing agency is seeking public comment on changes that will minimize regulatory burden; create a process focused on accomplishing positive results; provide for greater innovation and local control; encourage actions that increase housing choice. Apart from the AFFH, HUD is also being asked to conform the disparate impact rule to the Supreme Court decision. In a recent letter to the agency, the Credit Union National Association (CUNA) said that the agency should issue a proposed rule to make necessary changes to its 2013 disparate impact rule to conform to a 2015 U.S. Supreme Court ruling.